2018 The Modavam Puppy Cup was introducted. This cup was kindly donated by the current president Mr. David O'Hara and his wife Mrs Amanda O'Hara of Modavam Kennels. The Modavam Puppy Cup will be conducted at the same shows as the Shadforth Trophy. The Modavam Cpuppy cup is open to all minor and puppy Bulldogs entered in the allocated shows. 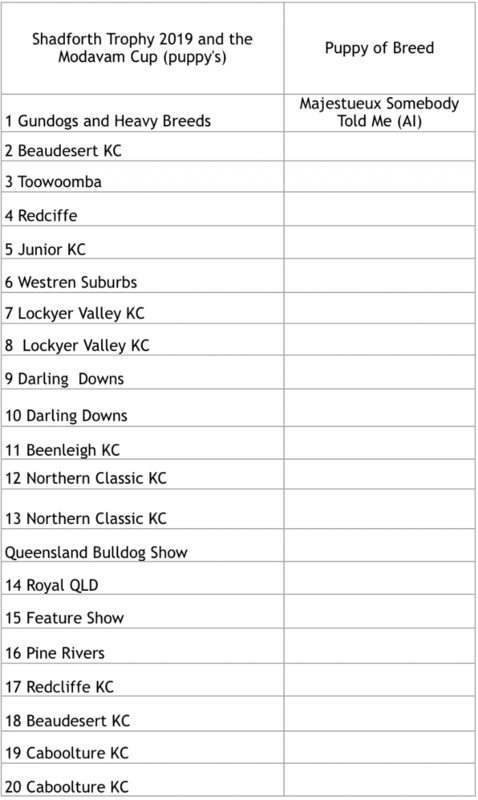 However to be eligable to win the perpetual trophy at the end of the year you me a financial member of the Queensland Bulldog Club. 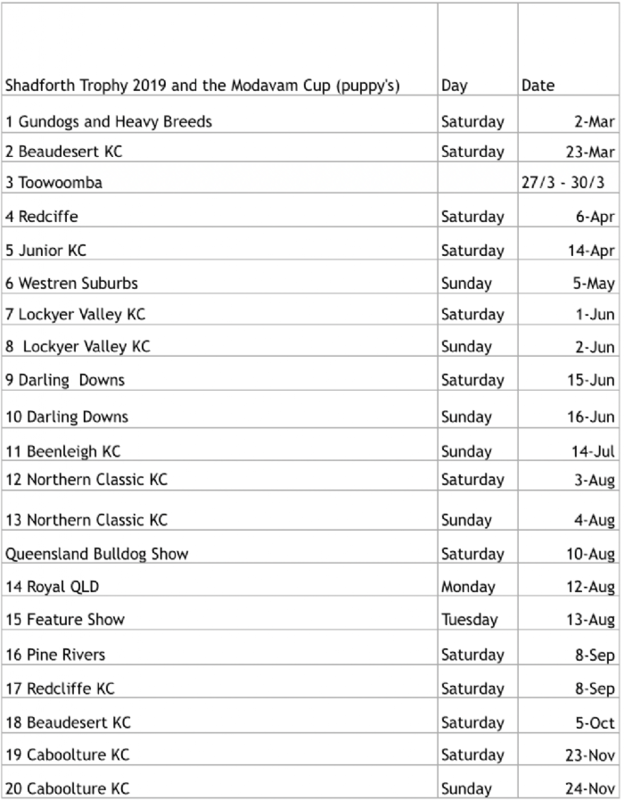 Please note show dates are subject to Dogs Queensland confirming the dates of shows.